Welcome to John’s Dry Cleaners. We are here to serve you. 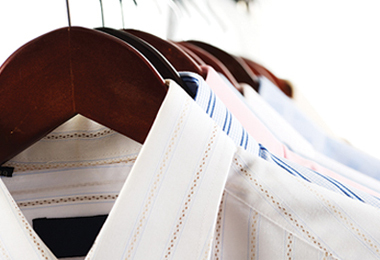 SIGN UP FOR FREE DRY CLEANING PICKUP AND DELIVERY NOW! LOCATIONS AROUND: BOULDER, SUPERIOR, LAFAYETTE AND MORE! Use our online system to sign up for FREE delivery services and manage your cleaning expenses online! We keep a running tab of your orders, allowing you to easily track them – past and present! 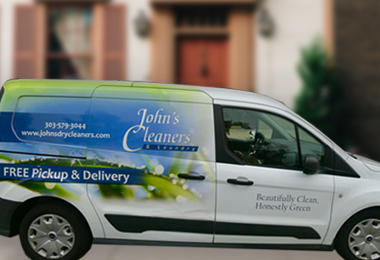 John’s Dry Cleaners offers simple, convenient, and FREE pickup and delivery for your dry cleaning for locations in and around Boulder, Superior, and Lafayette, Colorado. 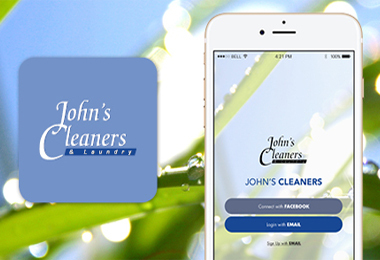 John’s Dry Cleaners is committed to environmentally responsible, green dry cleaning technology. We use innovative SystemK4 solvent: a halogen-free solvent designed to present no risk to air, water, soil, or human beings.